Early in 2014 Munro began experimenting with Morse Code, conveying the spoken and written word in pulses of light. Munro was intrigued by employing it he could produce both pattern and a decipherable message. 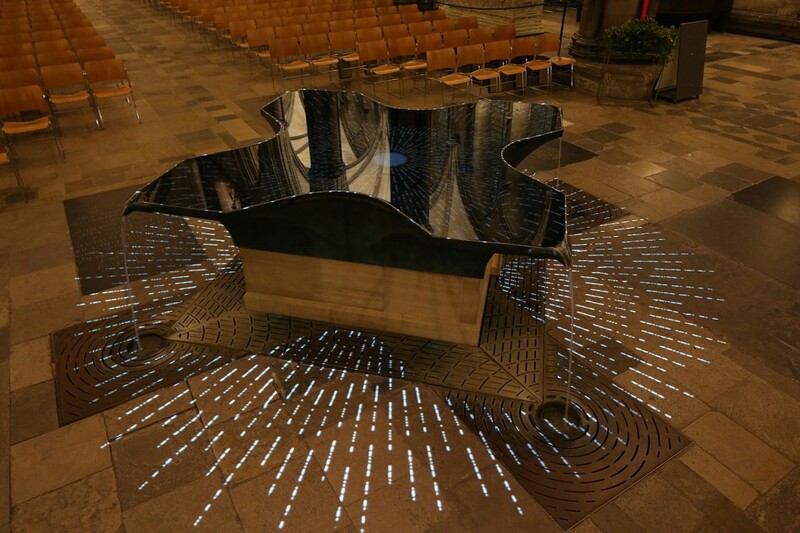 First shown in December 2014 in Salisbury Cathedral and included in the 2014 Darkness to Light service, Munro developed the piece specifically for the cathedral. 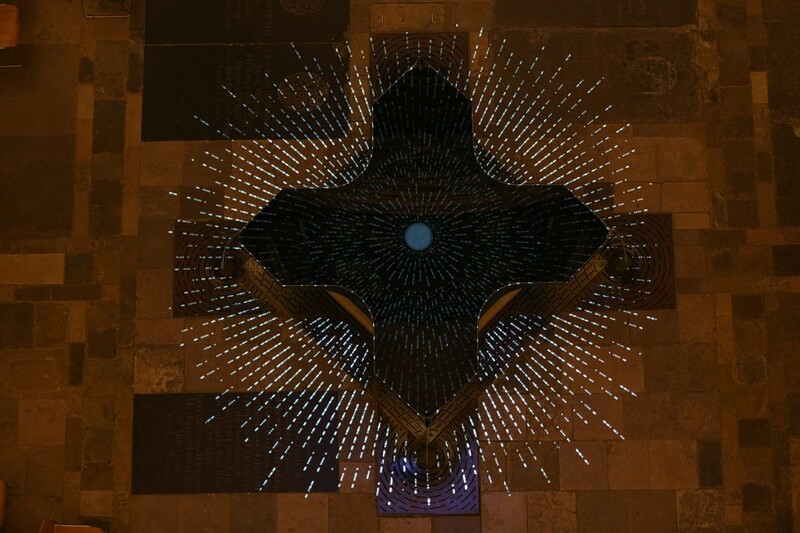 In this work, the journey made by the Magi and described in the New Testament, Matthew 2:1-12 is translated into Morse code flowing through the radiating points of a star. A short film will be available here soon. Bruce Munro: Star at Salisbury Cathedral, UK.